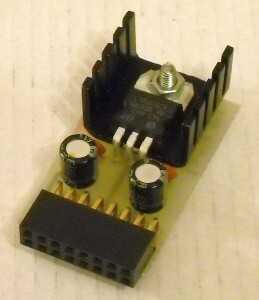 P-905 5V adapter / stabilizer plug-in module for Eurorack synthesizer system. Makes +5V supply (up to 100mA) from +12V rack system supply. Can be plugged into free socket on the bus board (see pic).